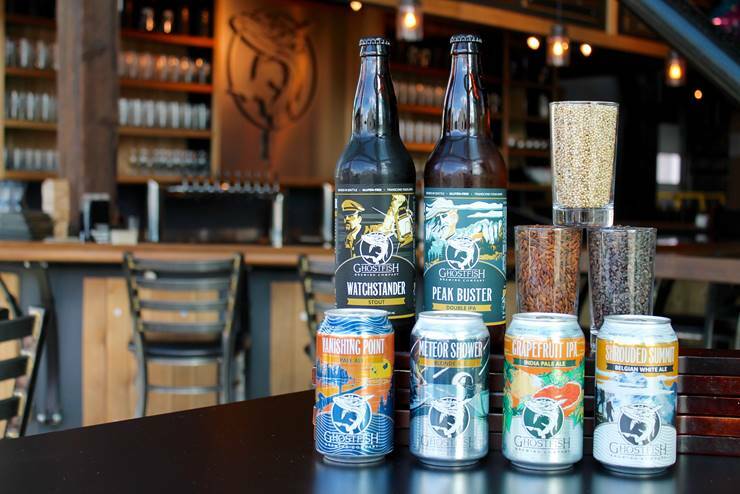 100% Gluten Free Ghostfish Brewing Company crafts its brews with distinctive malted grains such as millet, buckwheat, and brown rice. All of these naturally gluten-free grains are malted by hand in certified gluten-free facilities, allowing Ghostfish to create beers that appeal to all craft beer lovers. 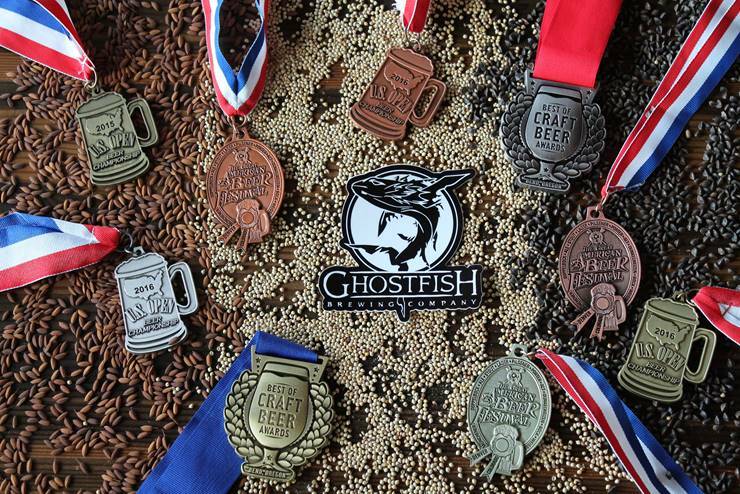 Award-Winning Quality In its first two years, Ghostfish Brewing won several medals in highly-competitive beer competitions, including gold and silver in the Best of Craft Beer Awards 2017, bronze in the 2016 Great American Beer Fest, gold, silver and bronze in the 2016 US Open, gold and bronze at the 2015 Great American Beer Fest and gold in the 2015 US Open. Exceptional Variety With six year-round beers, four rotating seasonal, and multiple special releases throughout the year, Ghostfish offers a diverse array of beers to satisfy any palate. From light blondes to hearty stouts, monstrously-hopped double IPAs to funky Belgians, Ghostfish transcends the limits of gluten-free brewing!